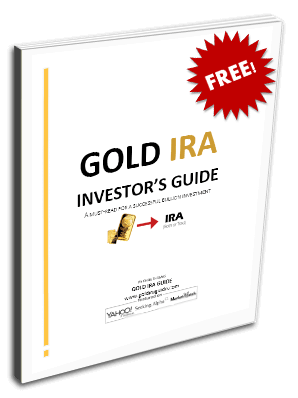 Gold IRA GuideGold Is the World Running Out of Gold? Hundreds of years ago, early economists were puzzled by a phenomenon in prices – why do some non-essential goods cost so much while essential goods cost so little? Put another way, why are water and grain so cheap when they are so vital for human survival? Why are gold and diamonds so expensive when neither is necessary? It turns out that the answer was quite simple. Powerful, yet simple. All economic goods are scarce, and (other things being equal) more scarcity = more value. There is a lot of water in the world, but not that much gold. People value both for different reasons, but its much easier for the average person to find a river than to mine an ounce of gold. Gold mines, like the Sunrise Dam Mine in Australia, are running out. He’s right. The lack of readily minable gold is making life tough on mining companies the world around. My only problem with Mr. MacDonald’s well-written piece is that he doesn’t seem to be making a big enough deal about running out of the world’s most famous precious metal. The article goes on to say that, at current mining levels, we are only two decades away from completely exhausting all of the discovered gold mines in the world. All of them. The new gold rush will be to buy, not mine. That isn’t to say that more gold can’t be found – it just isn’t very common to find new pockets of the yellow metal. This has become more and more true since the boom in global demand for gold over the past 25 years. As you can see from the graph below, 22 major deposits were discovered in 1995, 6 were discovered in 2010, 1 in 2011 and ZERO in 2012. The decline is unmistakable. While it has been estimated that there could be lots of gold underneath the arctic circles, it is buried incredibly deep…under sheets of solid ice and rock. There might also be large pockets of molten gold near the earth’s core. It’s a safe bet that we won’t be extracting that anytime soon. We’ll be mining gold from asteroids before we get to the earth’s core. In fact, gold production seems to have peaked around the year 2000 and has averaged a decline of 1 million ounces each year since. Gold has always been a good investment vehicle. Gold has always been a good investment, but in the long run it might be a much better one. The demand for gold has been at an all-time high over the past half-decade, and now the rapidly decreasing supply could serve to exaggerate the value of gold. Remember, scarcity contributes to value. It’s basic economics: the more demand for a good, the more valuable it will be; the less supply of a good, the more valuable it will be. Gold has both going for it right now. There is always a risk that gold – like any commodity – could struggle in the short term. Day-to-day demand, production and other market variables are difficult to predict. However, an exhausted gold supply will only lead to one outcome, and that outcome is higher gold prices. Or, put another way, gold prices have already risen more than 3,000% in the last 45 years. Over that time, gold deposits were being discovered at a consistent rate, and demand was much lower than it is now. History teaches us that gold is going to increase in value over the long-run. Download our Free Investor’s Kit to learn about the power of investing in gold, and see why it might be the perfect addition to your portfolio. This kit is offered in partnership with Regal Assets, our #1 rated precious metals IRA company in 2014. See the full rankings of 70+ companies here.